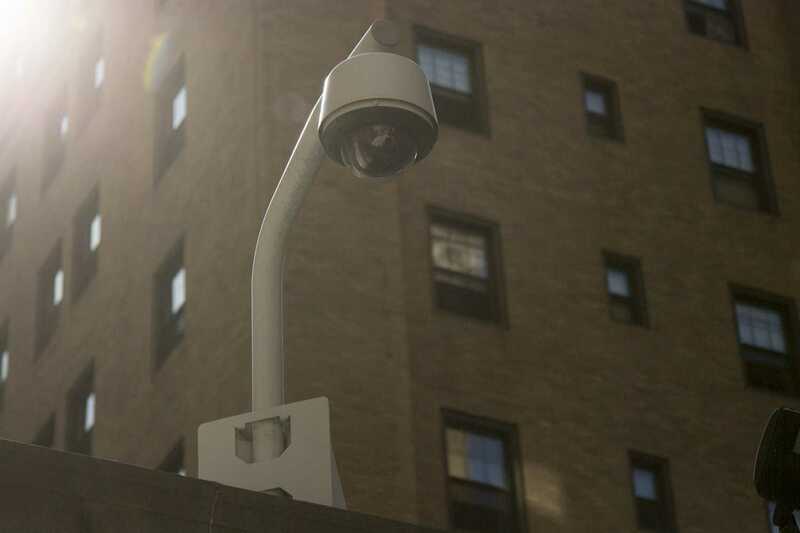 Days after officials announced an anti-crime initiative to install 60 surveillance cameras on Pitt’s campus, some residents who live in the Oakland community applauded the effort, believing it may ease fears and potentially deter crime. The new cameras are a $95,000 joint project between Pitt, UPMC and the Allegheny District Attorney’s Office. Pitt and the DA’s office each contributed $15,000 to the project. UPMC gave $65,000. Allegheny County District Attorney Stephen Zappala announced the installation of the 60 cameras last week, 10 months after Pitt student Alina Sheykhet was found dead in her home on Cable Place. Security camera footage was instrumental in finding the suspect in her case — Sheykhet’s ex-boyfriend, Matthew Darby. Darby was later charged in the murder after investigators found surveillance footage from a camera at a local pizza shop of Darby dropping an object into a sewer shortly after the crime. Zappala said at his press conference announcing the cameras Wednesday that Sheykhet’s death was a major factor in implementing the new cameras. “This is a much more comprehensive effort and Alina’s death had a lot to do with it,” Zappala said. The majority of cameras are set up mainly in Central Oakland, including along Bates Street. Pitt junior Brian Torpey, a computer science major who lives on Juliet Street, said he already feels safe in Oakland, but the new technology will make others feel safer. Pittsburgh police investigated 892 incidents of crime in Oakland in 2017, according to the Tribune-Review. Those incident reports don’t include reports to Pitt police. Sadie Horner, a sophomore at Carlow University studying nursing, also believes the cameras may play a role in making Oakland safer. Senior Jared Landau, a Pitt communication major, believes multiple factors affect how safe he feels in the neighborhood. “When it comes to safety in Oakland, it really depends on the time of night and the street you’re on,” he said. The Oakland Avenue resident, for example, said he tends to stay further away from the Boulevard of the Allies when it’s late out. He also doesn’t think the cameras are a bad idea. Not everyone supports the cameras. Anais Peterson, a junior majoring in urban studies, said she was skeptical about the new initiative. Peterson has previously written columns for the Pitt News but is no longer on staff. In the case of Sheykhet’s death, she also said Pitt is not doing enough with just the implementation of surveillance cameras. “If this was really about protecting students from domestic violence and sexual abuse, the administration would have put the funds into domestic abuse and sexual violence programs and making sure that next time someone is in a situation like Alina, she is protected,” she said.